Firstly apologies blog readers, its been too long since we updated, but 2016 has proved nothing but too busy at times. As we write we are about to head into the busiest summer Elite Sound has experienced, a combination of high quality products,value for money and of course our 1st class service and attention. I think we can safely say now, Elite Sound UK is a national company, we have racked up the miles already this year, traveling the length of the country adding that WOW factor from weddings, corporate events, parties and more. 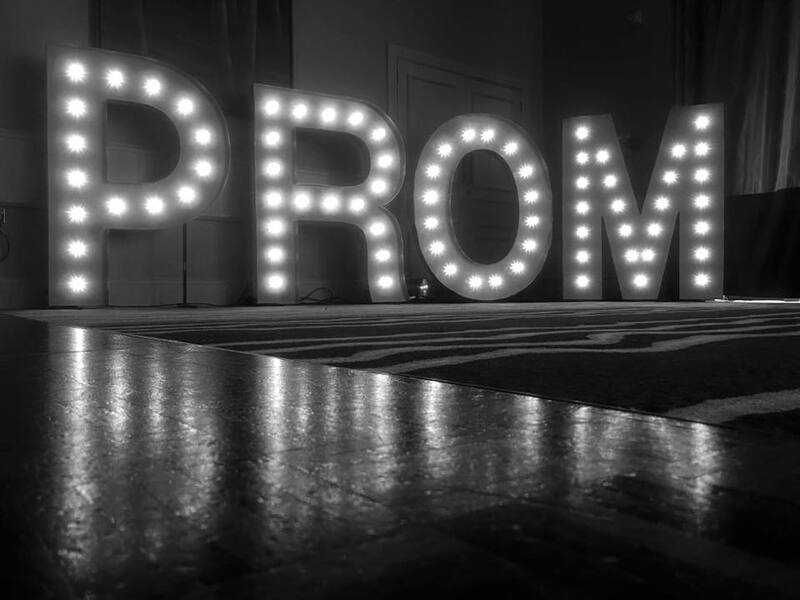 Prom season is also upon us as we write, our PROM in light up letters has been very popular, and our vintage cinema sign has been a welcome addition to many events this year also. Although our schedule seems like it can’t take anymore, we do have limited availability on our light up letters, backdrops, and dance floors for 2016, but as we mentioned to a client today, its always worth an ask, as you never know. If we can help, we will do our upmost to deliver. Thats all now for folks, enjoy the summer and sunshine.